GRIP: Combat Racing has been available on PC via early access for some time and has finally come to consoles. The game started life as something of a spiritual successor to the PlayStation series Rollcage, but wound up being more than that, with a ton of mode selection and overall variety. What made Rollcage stand out nearly twenty years ago still allows GRIP to stand out — being able to race upside-down as well as right-side up. This allows track designs to be similar to what you would see in a zero-gravity racer, with half-pipes and ceiling you can race on. This shift in tracks means that you have an all-action game that forces players to stay on their A game throughout the entire race. The core racing action is unbelievably fast for a wheel-based racer, and like with the track design, is far more in line with games like F-Zero. The usage of weapons evokes a bit of the WipeOut series too — but GRIP is far more forgiving than most entries of that series have been. 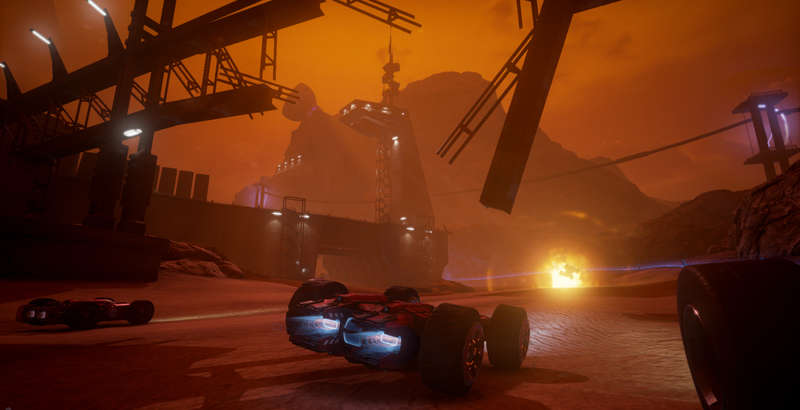 AI racers will aim to take you out with their weapons and the tracks are constantly infused with power-ups showing an ideal path in some ways. While there is no “wrong” path on most of the tracks, if you see an area littered with power-up icons or boost pads, you know that is your best overall way to go. Beyond offering a shorter path, it also allows you to get a small jump with the boost and then saddle up and prepare for battle if need be. Rockets, machine guns and shields make for an interesting blend of weapon usage. The quantity of weapons is somewhat low, but made up for by them being much easier to time during a race. With things shifting quickly because the track could go from being flat to being a half-pipe, or even having you race upside-down, being able to attack or defend a blast with precision is a huge help. In general, it’s best to use things like half-pipes and ceiling racing portions as a chance to be defensive. These areas can mess with your head — especially spacial awareness — so having one less thing to worry about can mean the difference between staying the course, losing position or rocketing ahead if things work out in your favor. 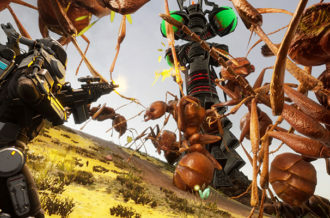 Enemies will attack you, but they won’t shy away from one another, making for a more fair experience than a lot of combat racers. 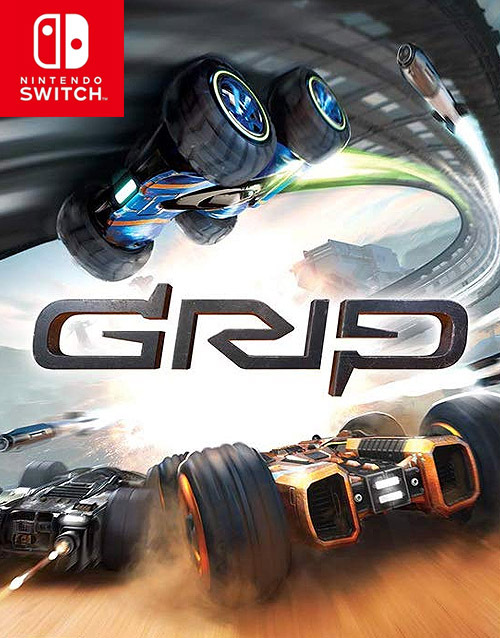 GRIP’s track design is both a huge benefit to it, but also a source of frustration due to how open some of the environments can be. You can wound up with areas that look like forks in the road, only for one to actually send you off-course. Trackside obstacles can also be placed in weird areas, resulting in you not having enough room to get through them and thus losing position. You can reset your vehicle with a button press, but you have to hold it down for several seconds, so you still lose time. Luckily, the only time this will truly take you out of the hunt is in the final lap. If you have this happen in an early lap, you have plenty of time to catch up — especially with rubberband AI ensuring that you’re never more a good turn or two away from at least getting back in the race. GRIP‘s racing mechanics are rock-solid and there’s a sense of tension with every blow you land and take. Being hit especially feels devastating since your in-dash HUD flies all over the screen and you have a giant color shift like your head’s been rocked hard. It’s a neat effect and one that takes you out for just enough time to get the point across without hurting your standing on the track. The control layout is top-notch as well, with the usual triggers for acceleration and braking, but the usage of bumpers for both of your weapon slots is outstanding. Most combat racers map weapons to a face button, but having them near the triggers, where your fingers are always near, is wonderful and allows for snappier timing with power-ups. The sharp controls are a huge benefit in not only the regular races, but the secondary modes as well. Controller-wise the Xbox One pad feels like a natural, but the game works nicely with a DualShock 4 too. The Switch Pro controller’s lack of analog triggers results in more precise acceleration and braking taking a bit of getting used to, but it works as well as it would have if this was released in the pre-analog trigger days of games too. 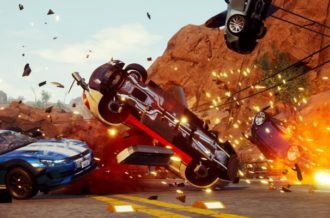 Those seeking a more controlled frenzy will enjoy the demolition derby-style mode. This kind of thing used to be all over the place, especially in the PS1/early Dreamcast era with games like Destruction Derby and Demolition Racer. Since then, it has gone the way of the dodo — making this feel like a modern throwback in the best way. Beyond that, you also have a capture the flag-esque mode involving swiping loot from enemies and a cool defensive mode where you have to avoid a player armed with a bomb. Being in the blast radius will end you and the last driver standing wins. Finally, you have a stunt mode to enjoy — under the moniker of being carkour, that leverages the versatile vehicles with loops and twists to grab collectables. Visually, the PC and higher-end console versions are an absolute treat. Details abound on the vehicles with treads having a more weathered appearance as the race goes on and details as a whole being much higher on the vehicles themselves. 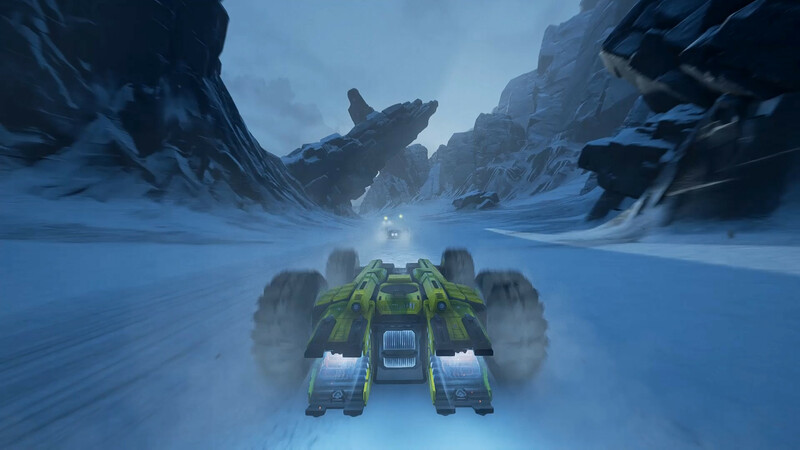 Tracks are littered with impressive lighting effects and the game’s framerate is silky smooth at all times. 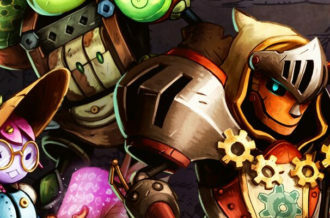 On the Switch, the game has seen a noteworthy drop-off in visual bells and whistles. Lighting no longer hits every part of the vehicle and track, and the car models have been simplified a bit. Fortunately, it doesn’t cripple the visual experience — which is honestly a bit surprising given the massive difference in hardware power. The cars models themselves are heavily-detailed, but not geometrically complex and scale down nicely for the portable hardware. The game’s framerate also appears to be mostly intact and doesn’t vary wildly. 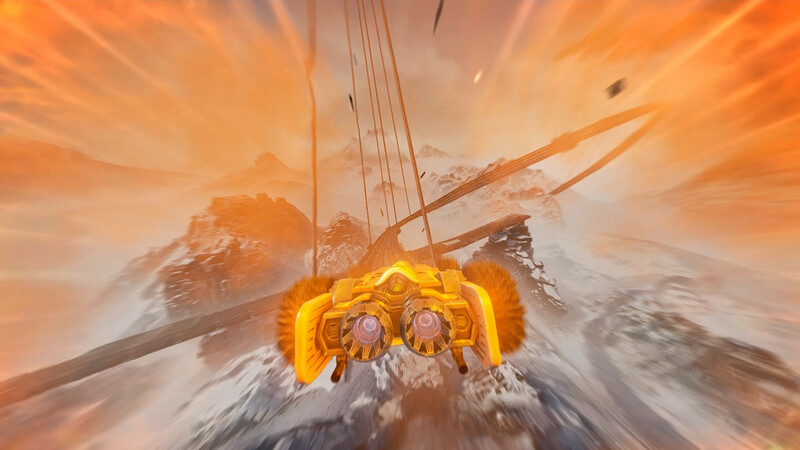 GRIP‘s sound design is strong, with a rock-heavy soundtrack and effective weapon effects. The soundtrack itself is enjoyable, but doesn’t stand out much while you’re playing. It accomplishes its goal of getting you excited while you’re playing the game, but won’t stick with you afterwards. The sound effects fare a bit better, with things like vehicles getting banged around sounding good and satisfying. Similarly, playing with a good set of headphones can really help you out because you can hear where rivals are at. GRIP: Combat Racing is a must-buy for anyone craving non-stop racing action, going far beyond just being a modern-day version of Rollcage while offering a wide variety of gameplay options. 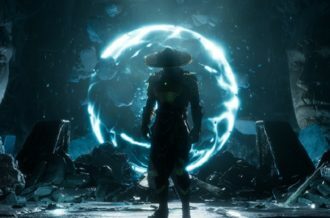 If you want to top the rankings in a traditional race, you can — but those seeking a deathmatch-esque battle can be satisfied as well. 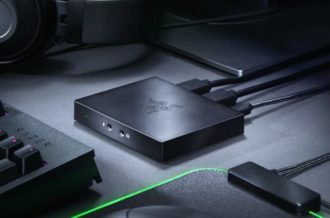 It looks fantastic on PC and higher-end consoles, but does suffer a bit on the Switch. Fortunately, its rock-solid framerate is intact on all devices. The rock soundtrack fits the fast pace of the game, but won’t stay with you afterwards.